Lower Hutt locals will soon have a chance to contribute to the work of Habitat for Humanity, as the charitable organisation opens a ReStore on Daly Street on Monday, 19 February 2018. 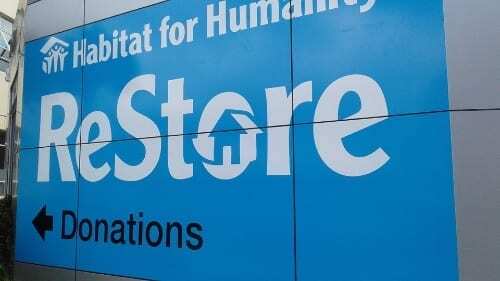 The ReStore will be the 20th in the country’s network of Habitat for Humanity quality used goods outlets, helping to raise much needed funds for the charity. Habitat’s vision is a world where everyone has a decent place to live, and every dollar spent at the ReStore – and all goods donated – will go towards the cause. Habitat for Humanity New Zealand CEO Claire Szabó said Habitat was pleased to open the ReStore and give opportunities for local Lower Hutt people to become involved with Habitat’s work. “Habitat is making a difference to the lives of many with a hand-up, not a hand-out,” she said. To arrange a pick up of your gently used goods, phone Lower Hutt ReStore manager Lorraine Sheenagh on 022 533 0870, or visit 15 Daly Street, Lower Hutt.